Diseases have a history, and understanding that history helps us understand how best to treat and control disease today. Today's students are confronted with a panoply of often-frightening illnesses and afflictions - the Biography of Diseases series provides students with the information that they need to understand the origin of various maladies, how they impact contemporary society, and how doctors and researchers from around the world are fighting to devise treatments to alleviate or cure these diseases. This volume, Depression, addresses a disease that confronts millions of young people every year, causing significant damage to their emotional and physical health. 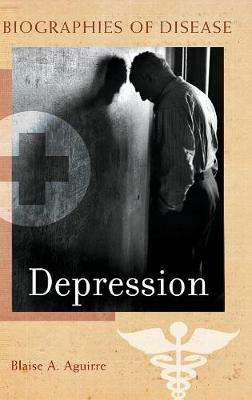 Depression examines all aspects of the affliction, including: Depression through the ages, from its earliest mention to the present, including how depression is portrayed in the arts. The demographics of the disorder - who is most likely to have depression, and what the prognosis would be. The clinical description of depression, including both physical and psychological symptoms. Current techniques for testing for depression, including DNA testing and brain scans. An examination of the current research, and the possible treatments for the future. The volume includes a glossary of important terms and a bibliography of accessible works that discuss the disease.